When is the best time of the year to have a new pool installed? On a hot summer day, the answer can often seem like “immediately.” But all kidding aside, the time of year does play an important role in both renovations for an existing pool and new pool installation. Before we dive into the details, know that there’s absolutely no wrong or terrible time to tackle your pool needs. Generally, the weather in the Dallas / Fort Worth area won’t provide any significant barrier to construction, even during the middle of winter. So, above all, only schedule upgrades and installation when you’re financially ready. A pool is often a great long-term investment which can really increase the value of your house. But installing a pool can require rather significant up-front costs. Make sure you’re prepared financially before committing to any pool construction costs. While there’s no terrible time for pool upgrades, certain seasons are usually considered better than others. Generally, fall and winter are the best times to have a new pool installed or existing pool remodeled. Upgrading and renovating should generally be avoided during the summer. After all, this is the prime season for pool use. But construction, even just work done to the surrounding area, often requires closing the pool. The pool will also likely need to be drained during the work period. Plus, significant construction around the pool can be dangerous, so the area will be kept off-limits for your family. Pool use tends to drop off significantly during fall and winter. So, if your pool has to be out of commission for a while, you probably won’t miss out on much fun. Note that this advice really only applies for pool remodeling. People tend to think about their pools when the weather is warm. Summer is actually the busiest time of year for pool construction professionals. Availability and scheduling can be more complicated to arrange. Generally, the busiest times for pool construction will be around Memorial Day, the Fourth of July and Labor Day. However, pool pros aren’t nearly as busy during the fall and winter. Work can begin and projects can be completed much faster than during other seasons. Plus, the construction timetable often allows for “breathing room” should any unexpected delays or issues occur. Schedule installations and pool renovations during the fall and winter might also be the cheaper option. Because demand for services is lower, sometimes discounts are available. Plus, material costs will increase every year. This isn’t anything special to pools, but simply due to inflation. Your pool is more than just a container of water. Instead, your pool is an important anchor in the overall design of your backyard. Fortunately, fall is often a great time to make changes to your backyard landscape. Planting shrubs, bushes and plants in the fall allow them enough time to extend their roots before warmer weather arrives. By the time pool season arrives, your backyard should be in full bloom. Additionally, coordinating landscaping with pool renovation helps prevent accidental damage to both. As long as you’re financially ready to commit to a pool, fall and winter are usually the two best seasons to install a new pool or start renovations. Work can begin quickly and might actually be cheaper than similar processes scheduled for the summer months. Plus, fall is an easier time to make landscaping changes. Fall construction means you don’t have to give up the use of your pool during the summer. Instead, a bit of advanced planning will make sure your pool is ready for fun all summer long. 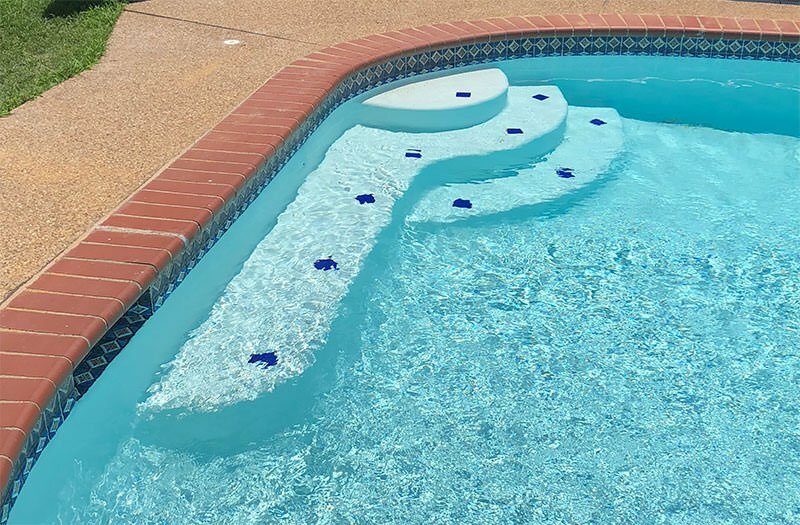 At Willsha Pools, we have extensive experience installing and remodeling pools throughout the DFW metroplex and surrounding areas. Contact us today to get started. By the time summer officially starts, the pool of your dreams can be ready and waiting!